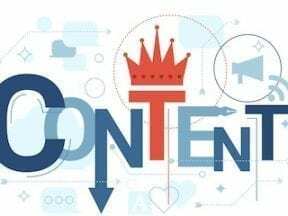 A simple, survey-based public relations campaign can help an ecommerce business build its brand, attract backlinks for search engine optimization, and encourage sales. In this article, I will outline the major steps to run a survey-based PR campaign. This campaign is meant to inspire at least a few journalists to write about the survey results. 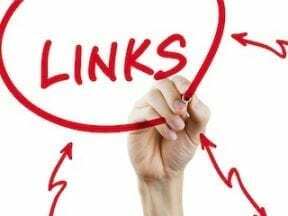 The articles they produce may include backlinks for SEO. And those articles could introduce potential customers to your business. In our PR campaign, the consumer survey is the prize. It is the thing that will attract journalists or bloggers. So the data we provide must be interesting and informative. For example, if we pitched survey results showing that folks with relatively high incomes, perhaps $200,000 per year, are more likely to buy expensive luxury products, it would probably not be newsworthy. Most reporters would assume as much. Rather we want to use the survey to tell or imply a story that reporters and bloggers will want to share. Something unexpected, perhaps. That story begins with the questions. Good questions should result in interesting survey results. Interesting results should engage reporters and bloggers. And our goal is to earn media coverage. 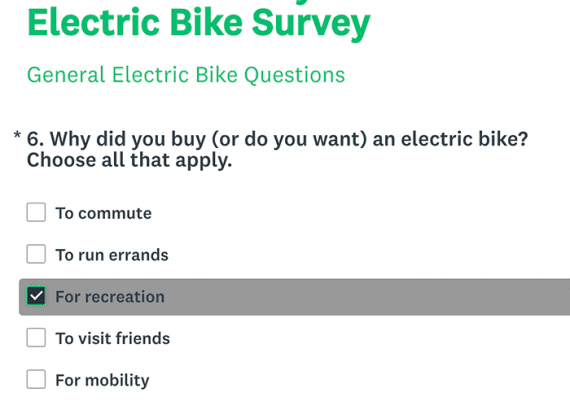 Having a goal for the survey, by the way, is what SurveyMonkey — which makes an online survey tool — puts first on its list of best practices for creating an effective survey. Define a clear, attainable goal. Put personal questions at the end of the survey. Keep the survey relatively short. Use multiple choice and checkbox questions predominantly. Ask just one thing per question. With the goal in mind, take the time to write several questions. Have co-workers proof and critique them. Once you have developed the survey questions, add them to a survey tool, consider an incentive, and decide how long you will keep the survey open — I often use two months. Then begin collecting responses. You could create a custom survey form for your website or, perhaps, use Google Forms. But there are several good survey tools that make collecting and analyzing results easy. SurveyMonkey, mentioned above, is a good choice. So are Qualtrics, SurveyGizmo, and SoGoSurvey, to name a few. The survey collection period can be as long as two months. This will give plenty of time to collect responses. Choose a platform that will present the survey professionally and help you easily collect responses. You likely want a unique survey URL. If you include the survey in a Twitter post, for example, use a URL that is unique to that post or at least unique to Twitter as a channel. Speaking of collection channels, here are a few to try. Your email newsletter. Include a survey link in the body of the email newsletter. Dedicated email message. Give the survey its own dedicated email message at least once. Social media profiles. Link to the survey from all of your business’s social media profiles. Facebook Groups. If your company has one or more Facebook Groups, post the survey there. Reddit. Find an applicable subreddit, mention the incentive, and link to the survey. You want a survey that will entice journalists to report about it. So aim for a fairly large sample — 1,000 responses or more for a collection period of a month or two. At the end of the survey collection period, analyze the results, combine any insights with other information when it makes sense, and draw conclusions. For example, in a survey I recently created, I asked consumers these three questions (among others). Alone, these data points may be interesting, but together they might tell a story. Is it the case that retired folks are riding around parks and visiting grandchildren on electric bikes? Maybe. Some journalists might not have imagined retirees riding bikes. So the survey could offer an unexpected angle. 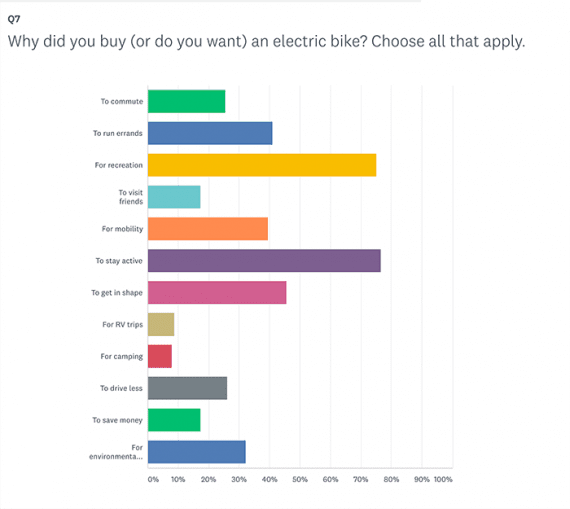 I could combine the survey results with retirement income data from the U.S. Bureau of Labor Statistics and information about how many Americans are living longer and looking for recreational activities to help keep them in shape (which was a top answer for why they own or desire an electric bike). Present the survey results and analysis as an article, downloadable PDF, information graphic, or similar. This survey presentation should live on a dedicated landing page that is part of a topic cluster. This landing page is where you will send journalists to get more information. It is also where you want journalists to send website traffic. Assemble the survey results, associated insights, and the story into one or more press releases and pitches. Distribute the press release via a service such as Business Wire or directly to news outlets. The release will describe the survey’s story, feature links to your survey landing page and other relevant content on your site, and provide contact information so that reporters can ask additional questions or interview company leaders. Single out leading reporters, bloggers, and influencers for pitches specific to them. When possible, offer an angle specific to their audience.